Jeanne: Capturing and extraditing one of the most heinous members of the Nazi party, Adolph Eichmann, the architect of the “Final Solution”, the culmination of the extermination of six million Jews during the Holocaust, is the subject of OPERATION FINALE. There have been many other depictions of this heroic mission — even his Israeli trial was televised — but OPERATION FINALE delves into the psychological factors complicating his capture and the peril to which the participants were exposed. Thought dead in the chaotic ending of World War II, Eichmann (Ben Kingsley) has been working and living with his wife, Vera (Greta Scacchi) and his sons for 15 years in a suburb of Buenos Aires. His eldest son, Klaus (Joe Alwyn), develops a relationship with a young woman, Sylvia Hermann(Haley Lu Richardson), whom he doesn’t realize is Jewish. She recognizes his name, and subsequently meets his father, who is posing as Ricardo Klement. Sylvia reports her findings and when it’s determined that Klement is, in fact, Eichmann, a top-secret team led by Rafi Eitan (Nick Kroll), including Mossad agent Peter Malkin (Oscar Isaac) and the accompanying doctor, Hanna (Mélanie Laurent), is dispersed to Argentina. They must not only stalk and capture Eichmann, but hold him for a period of time until he can be transported to Israelto stand trial. OPERATION FINALE is billed as a “razor-sharp” thriller. It is thrilling, but, as opposed to fictional spy films, it is much more cerebral. Eichmann was an evil, maniacal murderer, responsible for so much death and destruction. He and Malkin go toe-to-toe in Malkin’s efforts to get him to sign a necessary document. It is these scenes which provide the scintillating, spine-tingling aspects of OPERATION FINALE. Kingsley portrays Eichmann as the enigma he must have been — at once charming and disarming, then ruthless — spewing unthinkable thoughts regarding his victims. Everyone involved in his capture lost someone in the Holocaust and Malkin is no different. It is imperative that Malkin not let his feelings interfere with his interrogation of Eichmann, and watching Isaac go through those machinations is a great part of the suspense. Isaac and Kingsley are superb together. Eichmann may have been cunning and diabolical, but Malkin gives as good as he gets, with these two powerful actors duking it out verbally in the most pivotal scenes. One sequence unceremoniously showcases Eichmann sitting on a toilet while three of his captors guard him. As he’s emptying his bowels, he rambles on about a memory he has retained from his childhood involving his father. Its inelegance is jarring — to be taken as a symbol of Eichmann’s neurosis. There are nail-biting moments within OPERATION FINALE, but the action is not non-stop. When this group of crack agents learn that their extradition has been put on hold, it is imperative that they remain calm, creating a major part of the tension. Can they hang on and bide their time while they are being hunted by the emerging Nazi party inArgentina? Screenwriter Matthew Orton, who completed a vast amount of research, and director Chris Weitz, whose father was a German-Jewish immigrant, have created a marvelous re-telling of this incredible true story. Orton’s script rings true on every level, though some liberties were taken with certain time lines. It’s an amazing, heart-wrenching effort made even more so by Alexandre Desplat’s arresting soundtrack. 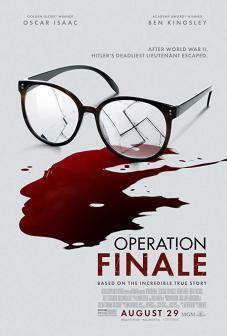 Do not miss OPERATION FINALE. David: Imagine you’re in the same room with a Nazi war criminal who, one way or another, was responsible for the concentration camp slaughter of your relatives. The temptation would likely be to throttle the individual with your bare hands, or grab the closest deadly object in sight. Such is the dilemma of a group of Israeli Mossad operatives, i.e., secret agents, who hold notorious Nazi perpetrator Adolph Eichmann captive inArgentina while they work out a plan to get him toIsrael to stand trial. It is all they can do to keep from strangling Eichmann on the spot. One of the Mossad agents is Peter Malkin (Oscar Isaac), who uses his guile and extreme patience to get Eichmann to do what is necessary to set the plan in motion. This is how most of OPERATION FINALE is depicted. The actual abduction of Eichmann near his home in a Buenos Aires suburb is relatively simple, and not terribly suspenseful, primarily due to the excruciating planning by the team. Oscar winner Sir Ben Kingsley portrays Eichmann, initially played as an almost sympathetic figure who claims not to be the “chief architect of the Final Solution”. But when his character explodes late in the film in a fit of rage and hate, directed at Malkin, the evil monster from WWII reveals his true colors. It’s a signature moment in OPERATION FINALE, one which moviegoers will not soon forget. The irony in casting Kingsley, of course, lies in the fact that he portrayed Oskar Schindler’s primary assistant, Itzhak Stern, in Steven Spielberg’s masterpiece SCHINDLER’S LIST (1993) wherein the duo rescued hundreds of Jews from the gas chamber. Isaac is perfectly cast as the level-headed agent who manages to “befriend” Eichmann. The two share stories and cigarettes, and Malkin is always under control, even as memories of his murdered sister and her children flood back to him. With much of the movie staged inside the room where Eichmann is held captive, the reality is that a high degree of suspense is not achieved by the filmmakers. Instead we are privy to a fascinating cat-and-mouse game between the pair, and that’s where OPERATION FINALE succeeds. A flirtation between Sylvia Hermann (Haley Lu Richardson) and Eichmann’s son Klaus (Joe Alwyn) immediately immerses the movie audience as the film opens. She is a Jew in Buenos Aires in this post-war drama, while Klaus is a Nazi believer. Initially, he doesn’t know her religion, and she is oblivious to the fact that he is a Nazi sympathizer. The closing credits of OPERATION FINALE include archival footage of Eichmann’s globally televised trial proceedings in 1961 and 1962 — complete with the massive bullet proof cage where he sat — plus a closing statement about his eventual fate. There is only a small sampling of the actual testimonies of concentration camp victims and/or their relatives directed at Eichmann. OPERATION FINALE is a thoughtful, well-constructed film about a major event in world history. 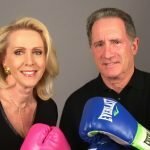 In place of the usual ratings, husband and wife, David and Jeanne Kaplan offer opinions on the merits of spending money for a first-run release, with separate his-and-her movie reviews. A movie is either entertaining and worth seeing now, or it's not. Kaplan reviews advise the reader along those lines with the hope to appeal to the frequent moviegoer who can see through the hype of many professional critics around the country. Casual moviegoers who seek their opinion can depend on honest, unbiased viewpoints. If they think a movie is worth the price of first-run admission, they endorse it, with a "SEE IT NOW!" icon. ﻿ If they give a film a "STRONG SEE IT NOW! ", it is an exceptional movie--a must see on the big screen. ﻿ If a film is entertaining but not necessarily worthy of the cash outlay, they advise you to "WAIT FOR DVD", which can also be interpreted as waiting for second run where you can still see it on the big screen. ﻿﻿﻿ If a movie is really bad they will flat give it a "DON'T BOTHER!" Pick up a good book for the two hours you will waste. ﻿﻿﻿ Jeanne and David Kaplan's﻿ reviews also appear on the international film review website www.RottenTomatoes.com. David is founder and president of Movienotes, a Chicago-based media advertising company.